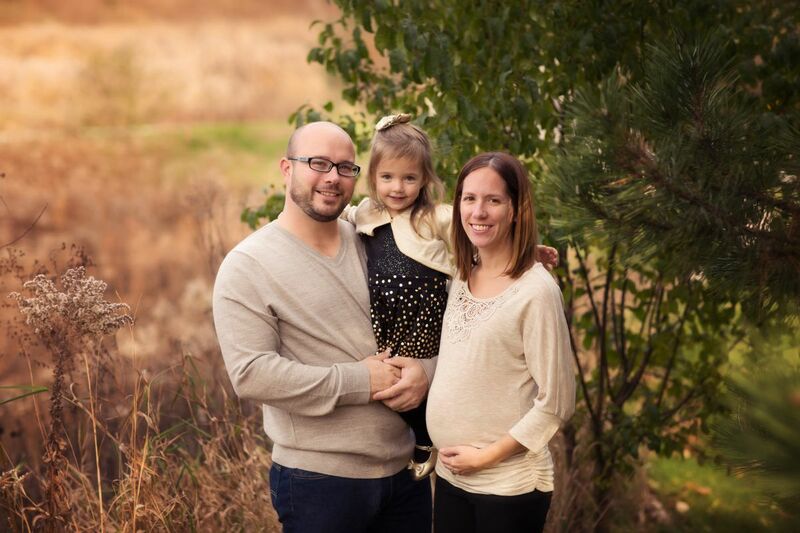 We're excited to announce our newest mom of the month - Corinne! Corinne found FIT4MOM Glen Ellyn / Wheaton when she was moving to Wheaton. She jumped right into our 8 week Body Back transformation session. She decided shortly after joining Body Back to try Stroller Strides with her daughter Madelyn. Madelyn loves her buddies in class is always the first one to start singing the smile song at the end of class. Congrats Corinne! We are so happy and thankful that you found us! Hometown: I grew up in Wayne, IL. Tell us about who is in your family: My husband, Mike, my 2 and a half year old daughter, Madelyn, and my soon-to-be son due in March 2017. Current/Previous career: Up until this school year, I have been a teacher. This year I am taking time off to be with Madelyn and the new baby due in March. I am still doing some occasional subbing this year as well. What was your childhood ambition? I have always wanted to be a teacher. What does motherhood mean to you? Motherhood means love, laughter, joy, stress, busy schedules, messy hair, less showering, and so much more! I have had so many happy times as a mom and I love watching Madelyn grow and learn new things every day. I am so fortunate that I am able to stay home with her and watch her grow into an amazing little girl. There have also been hard and stressful times where I have felt like giving up. But then Madelyn will smile at me or do something funny or sweet, and those are the moments that make it all worth it! Being a mom is the best thing that has ever happened to me and I wouldn't change it for the world! What is the furthest you have been away from home? Last February, my husband and I went on vacation to Bora Bora. We stayed in a hut over the water. It was the most amazing vacation! How did you find FIT4MOM? When I lived in Hanover Park, I tried a free Body Back class at another franchise. I wasn't too crazy about it, so I didn't go back. However, when I moved to Wheaton, I decided I would try the Body Back classes here and see if they were any better. That's when I met Erica and she is one of the best instructors ever! From that first class with her, I was hooked! How as FIT4MOM changed your life? FIT4MOM has made me love exercise. I never really used to like exercising until I tried FIT4MOM. Now, I am totally hooked! I have been cutting back on classes lately because I am pregnant, however I used to come 3 to 4 times a week. After I have the baby, I plan on starting right back up again! Exercise makes me feel so much better about myself. It is also setting a good example for Madelyn. She loves going to Stroller Strides and watching all the moms exercise. She always wants to get out of the stroller and exercise with us! Madelyn and I have also made so many good friends through F4M! We both love it! Favorite exercise: My favorite exercise right now is any exercise that works the arms. They are the easiest exercises to do while pregnant. Before I was pregnant, my favorite exercise was squat hops. Proudest moment: My proudest moment is when I became a mom. It was the greatest feeling to hold my little baby right after she was born. I just couldn't believe she was mine and I was part of creating this little tiny miracle! I can't wait to experience this again with my baby boy in March. Tell us something about yourself that would surprise us: I can't really think of anything that would surprise people. I guess maybe the fact that I have 2 tattoos and used to have my belly button pierced. When I tell people that, they are usually surprised because they think I am so innocent...LOL!